Two brothers Metin (Ahmet Kural) and Ali (Murat Cemcir) are plumbers with no scientific education. Ali is a widower but still goes around his ex-wife. Metin is in love with the pharmaceutist at the neighborhood but cannot gain her hearth no matter what he does. Their sister Feyyza (Seda Bakan) works at the gas station and secretly loves the gas pumper. Metin, Ali and Feyyza live happily together even though they argue most of the time due to trifling issues. Nefise (Deniz Bolisik) is a young mother who has 4 children. After her husband’s death, she becomes the head of the family and tries to do her best to raise her children. She works at a restaurant with difficulty but she cannot earn enough money to provide her children a proper life. In this journey, her eldest daughter Zeynep (Melis Tuzunguc) becomes her biggest supporter. Zeynep understands her mother’s sacrifice and starts to work part-time to support her family financially. One day, Nefise cannot leave her youngest daughter to the caretaker and takes her to the restaurant. At that day, she loses her job where she works without any social security coverage and she cannot get her latest salary. Nefise finds herself in a desperate situation and has nothing to do but to steal some food from the restaurant as an exchange for her unpaid salary. While running away from the restaurant with food, she comes across a wounded man Muzaffer (Fatih Al) and kindly helps him by calling an ambulance. Asli (Birce Akalay) is a young and beautiful doctor who is dedicated to save the lives of her patients. She even sacrifices her own life for the sake of her patients. She is so free-spirited and thinks that she can change the lives of people through love and effort. 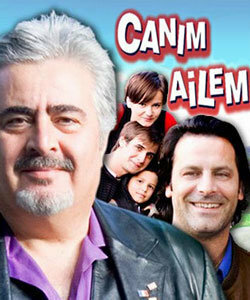 Asli lives happily with her brother named Cem (Ugur Aslan) who works as a police officer. Cem is also passionate about his job and does whatever is needed without any fear. After their parents’ death, Cem has become the head of the family and does his best to protect his sister Asli. On the other hand, Ferhat (Ibrahim Celikkol) is young and cold-hearted guy who works as a hitman. After his father’s death, he moves to Istanbul together with his mother, sister, and brother. Ferhat sacrifices his own life for the sake of his family and starts to work with his uncle Namik (Muhammet Uzuner). Ferhat believes that Namik is his uncle but in fact, Namik is his biological father. Without knowing this secret about the past, Ferhat becomes the most trustworthy man of Namik and starts to carry out all the illegal activities.